At Toronto Audio Visual Rentals, we can help you organize a live event, conference, seminar and other programs professionally and exactly the way you desire. Right from the beginning till the end of the event, we will provide assistance at each and every step. Our goal is to assist our clients and help them meet their challenges associated with organizing of an event or program. To help our clients realize their dreams and desires, we design and execute each and every event carefully and offer a host of other services including budget management, survey, rendering, equipment rental, project staffing, event production and technical support services. 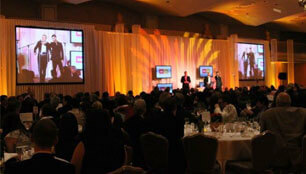 Toronto Audio Visual Rentals can help you plan your events and organize them successfully. Simply clarify your agenda and tell us about your preferred venue and we will provide all the technical support, audio visual equipment and staging support services that will help you organize a creative and exciting event for your audience. We provide state of the art technology and customized staging, lighting and event organizing services that complements your budget. 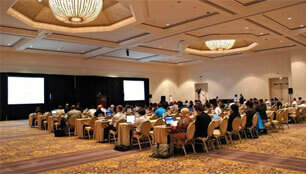 We offer a wide range of services, which are tailored to meet your meeting and seminar related requirements. Our professional and experienced staff will provide you complete assistance and guidance for organizing a seminar or meeting successfully. We can provide you with a wide variety of equipments including Meeting projectors, Screens, Microphones and other audio and video equipments. 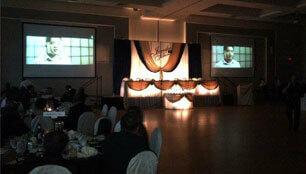 We can help you organize a grand and successful award banquets. With our audio visual equipments, lighting, staging and technical support you will be able to hold a massive and memorable award night. 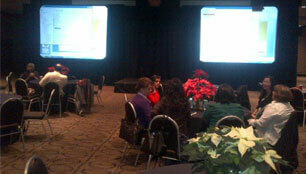 We have the requisite speakers, projectors, monitors and other AV equipments that can meet all your requirements easily. 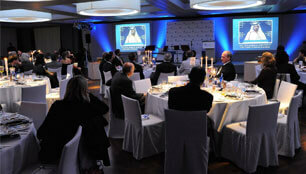 Seek our assistance to organize a small or large scale dinner program that your clients will remember forever. With our LED monitors, cameras, lighting, screening, drapes, podiums and other accessories and equipments you will be able to organize a dinner event and program exactly the way you desire. 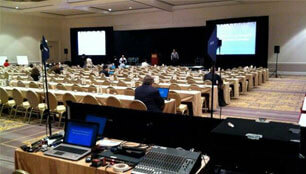 With our projectors, screens, cameras, LCD TVs, microphones and monitors, you can organize all types of conventions. 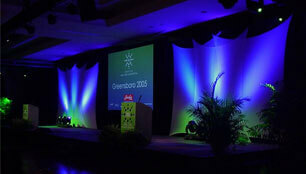 We will help you plan, budget and organize your conventions like never before. 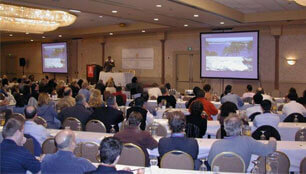 We specialize in making full-fledged arrangements for conferences. We understand that your important and potential customers and associates will be attending your conference, which is precisely why we can help you set up the perfect conference venue at affordable prices. No matter what type of audio video equipment and technical support you are looking for, we will provide you with one and all. 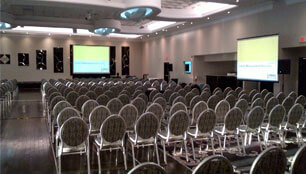 At Toronto Audio Visual Rentals, we understand the significance of your annual meetings. 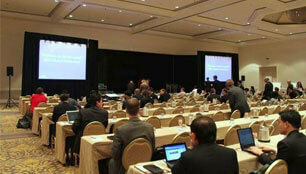 We can help you hold your annual meetings exactly the way you desire. We have the requisite expertise, skills, staff and audio visual equipments for organizing your business meets and annual meetings that will be attended by the board of directors, trustees and other prominent people. We understand that you require huge projectors, monitors, screens, cameras and other important audio visual equipments for organizing your sales meetings. 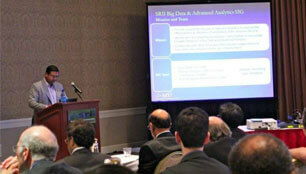 Use our expertise, knowledge and guidance to organize hassle-free and successful sales meetings on a regular basis. In order to organize a seamless, successful and exciting product launch event, your organization needs to create the right environment and set up a massive stage. With our audio visual equipment rental services, you can organize a massive product launch and create an everlasting impact on your audience. Some of the products provided by us include projectors, screens, drapes, lighting, HD panels, video switching, consoles, cameras and more. Trade shows are held on a large scale and a huge number of people attend them to garner information about products and services and in many cases buy them as well. If you are on the lookout for the right staging and audio visual partner, then Toronto Audio Visual Rentals are definitely one of them. We have the required superior quality audio visual equipments and staging accessories that are ideal for organizing a mega trade show event. Your clients are extremely important to you and nobody understands it better than us. 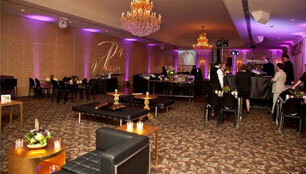 Our skilled, professional and technically qualified staff will help you organize the perfect appreciation event. Give your clients the opportunity to appreciate your organization’s effort by organizing a client appreciation event on a grand scale. Organizing galas can be extremely difficult, but with our wide variety of microphones, wireless handheld microphone, digital recording and playback systems, sound systems, screens, PA speakers and accessories, you will be able to organize an exciting event exactly the way you desire. Holding a press conference requires a lot of planning, budgeting and presentation. With our latest and audio video equipments, technology, professional and knowledgeable staff, multi-screens, projectors you can leave an indelible impression on the media and share all the requisite information and details with regard to your products, services and company easily. 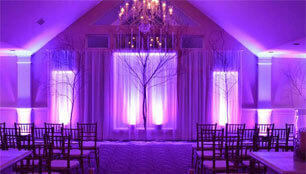 We are expert at organizing and planning charity functions. 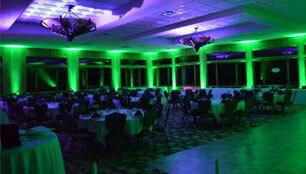 We have helped hundreds and thousands of organizations organize their charity functions successfully. Our broad range of audio visual equipments including DLP and LCD projectors, mini and HD video cameras, LCD and Plasma screens and projectors, switching and recording equipments, lighting and accessories are readily available for all types of charity functions. With our staging, lighting and other audio visual equipments, making suitable arrangements for a VIP event will be extremely easy. We have an array of AV equipments, accessories, sound systems, drapes, switching and recording equipments organizing a VIP event will be fun and exciting.